This week I published some new images from Patagonia on this very website. My previous visits to Patagonia yielded monochromatic, often dark toned, images. I felt at the time, this really summed up my view of this landscape. Seems I may have been too quick to judge as this year I found myself confronted with a softer, lighter view of the place. I think the appreciation of what I saw and how I interpreted Torres del Paine this year was influenced heavily by my visit to Hokkaido last December. Since that visit, I feel my images have been moving towards the higher registers of tonality. Rather than focussing on the dark tones and 'drama', I now feel I've found a few more octaves of light to play with. Like a singer who stays in the middle range of their voice for safety, I'm curious if this is what most of us photographers do with the tonal subjects we shoot. Most of what we do resides in the safer tones. Yet, by pushing the exposures to the extreme outer edges of our comfort tones, we may find some new things to say in our work. In this new work, there is a mixture of dark images and as well as lighter ones. The skill I feel, is to marry them so they feel part of the same set. Tones and tonality has become something I'm very obsessed with over the past few years. I think it's easy enough to make nice images these days, but to really make your images stand out, or to go that extra mile, I feel an understanding or tones and relationships between them is vital. Returning to the same places time and again is a tortuous thing for me to go through. Not only am I so fortunate to return to Patagonia on a yearly basis, but each year it feels as if the place sets me new challenges, new homework. The benefits are enormous. Through this process, I get to grown as a photographer in some way. What I like most about this years work, is that I made photographs of lesser, iconic views. I've never shot Lago Pehoe before without the Cuernos mountain range in the background. The mountain range always seems to dominate my view of the place. It's therefore unusual for me to make more abstract or intimate compositions. At Lago Sarmiento we had no view of the Paine massif, and this was very freeing. I felt I could concentrate more on the shore and the rock formations there. Sometimes the Paine massive is just too magnetic. It can over dominate the scene. In just a few days time, I will be heading back to one of my most favourite places in the world. I dearly, dearly love Patagonia and in particular Torres del Paine national park. I feel I have a deep connection with this place. I can't quite believe that I have been coming here since 2003.... more than a decade. There is a spirit, a vibe to Patagonia that is hard to convey in the written word. It is something you have to feel for yourself. I find that some places that I visit, have a 'feeling', a 'smell' to them. There's something very timeless about Patagonia. It is a place where you can choose to disappear. With such wide open spaces, and such small rural communities dotted at such large distances from each other, I find I can let my mind roam. I think we all want to be free. To escape, and to find somewhere that time seems to stand still. I think that is Patagonia to me. It is like an old friend, one that hasn't changed much over the intervening years. Patagonia is still very much the same place it was when I first visited it back in 2003. I find there's a comfort in knowing this :-). This last image was shot on the very last day of my tour there last year. I know Torres del Paine so well and one of my favourite locations is towards the southern side of the park. I stay with my group at the Rio Serrano village. In this shot - you can see the Paine massif ( a 2,884m mountain range jutting out from the landscape at almost sea level) with lifting early morning fog from the Rio Serrano pass. Sometimes when I'm in Torres del Paine, I see temperature inversions. It's hard to describe to people who haven't been there how otherworldly the place is. To have a mountain range like that jut high into the sky from sea level to 2,884m and literally have a different weather system at the western side compared to it's eastern side - is normal here. I'm very much in agreement with the sentiment behind Ansel's statement as I'd personally prefer to produce a very small quantity of high-quality work, than a lot of average images. I've been thinking about how I dislike the terms 'hit-rate' and 'success-rate', as I feel that measuring one's own creativity is a destructive thing to do. Instead, I prefer to just be aware that my creativity has an ebb and a flow to it. For instance, I've found since I started this website way back in 2001, that I only manage to add a hand-full of images a year to it. But each time I do go to look at my archive work and recent work sections, I'm very aware that the work has taken a lot of time, patience and effort to create. I'm not that prolific and I as I see it, there are a few factors at play that determine my output. Firstly, I have my own sense of what I feel is acceptable. I call it my 'in-built-quality-control', and it's what I use to determine whether an image is good or bad. Hopefully, I'm not too harsh on myself (by setting the bar unrealistically far too high), nor too easy on myself (by being happy to publish everything I do). Quality control is vital in understanding yourself, where you are artistically and for ensuring that others get a clear picture of how you see yourself. I'd like to suggest you read this article of mine, which I wrote about the final selection process where I started out with around 400 images and filtered it down to around 30 or 40 I was happy to publish. Secondly, I don't measure myself based on any success rate. I don't measure myself at all as I feel it's an unhealthy thing to do. Instead I accept that my creativity has its own natural flow which I can't control. None of us know when we are about to create our best work, nor our worst. A good photographer is open to new things coming in and to letting go of things that don't work, otherwise it's possible to become stuck. I also understand the value of creating bad work. To get to the good work requires experimentation and an openness to try things out which may fail. Exploring the possibilities of one's own creativity requires us to be able to deal with failure because there will be many failures along the way. But rather than using the word 'failure' though, I would prefer to use the word 'experiment' or perhaps 'work in progress'. It's a much more constructive way to look at work that didn't meet your own standards. Our work is never finished anyway - we are always in a constant state of change. The difficult to photograph Cerro Torre in the northern part of Los Glaciares national park, Argentina. This is perhaps the image I spent most energy on getting. I had visited this area several times over several years, often coming home with nothing - the place is so famous for its bad weather. I've had so many emails from readers who told me they saw nothing when they were here. Well, I camped here once for more than a couple of weeks and I saw nothing too.... but I kept returning and I got this shot for a brief 5 minute window. Lastly, but perhaps most importantly, I understand that good work is the culmination of many things such as time, effort and patience. A good portfolio is not created overnight nor with little effort. Instead, good work is accumulated gradually over many years, with a lot of of experiments along the way and with a lot of perseverance. I also find that living with the work for many years allows me to have a sense of distance which brings a certain level of objectivity and awareness. I am always considering and reconsidering my older work. It allows me to notice changes within me. So I think 'success rate' is a poor demonstrator for my art. I prefer not to think about this because everything I do, right from the experiments to the keepers - is all part of the creative process. Creative work should never be measured, instead it should just be allowed to flow in its own way and under its own pace. In 2 days time, I will be on my way to Patagonia. It's a special place for me, a home from home if you like, and a place where I have had so many special experiences. For example, once I found photography, Patagonia was the first place abroad that I was drawn to go to. It is also the first place that I conducted a photography tour/workshop in my photography career. The Paine massif, shot from Lago Pehoe, Torres del Paine, 2009. Despite Bruce Chatwin's 'In Patagonia' book being largely a work of fiction, and not an auto-biography as he tried to suggest, his book still conjures up for me the essence of what I think Patagonia is all about. In his book, he describes a place where people go to disappear, where there is a wild climate and so much space that people can reinvent themselves. As much as I see that aspect of Patagonia, it's lure for me is different. Instead, what I see are similarities with my homeland of Scotland. Both have similar (inclement & windy) weather and both have a lot of empty spaces. When I am in Patagonia I find my mind saying 'I know this'. But the more I travel, the more I see other correlations between landscapes that are separated by great distances. Although Patagonia reminds me of parts of the Scottish Highlands, such as Torridon & Assynt specifically, I also see similarities between itself and Iceland. With its expansive pampas and arid deserts of bush and scrub-land that go on for hundreds of miles, as well as the black beaches in the Torres del Paine national park of Chile, I see similarities between Patagonia and the wild interior of Iceland. They are to some degree in my mind, inseparable. I've been away all week on the isle of Eigg with a terrific group, running a workshop. 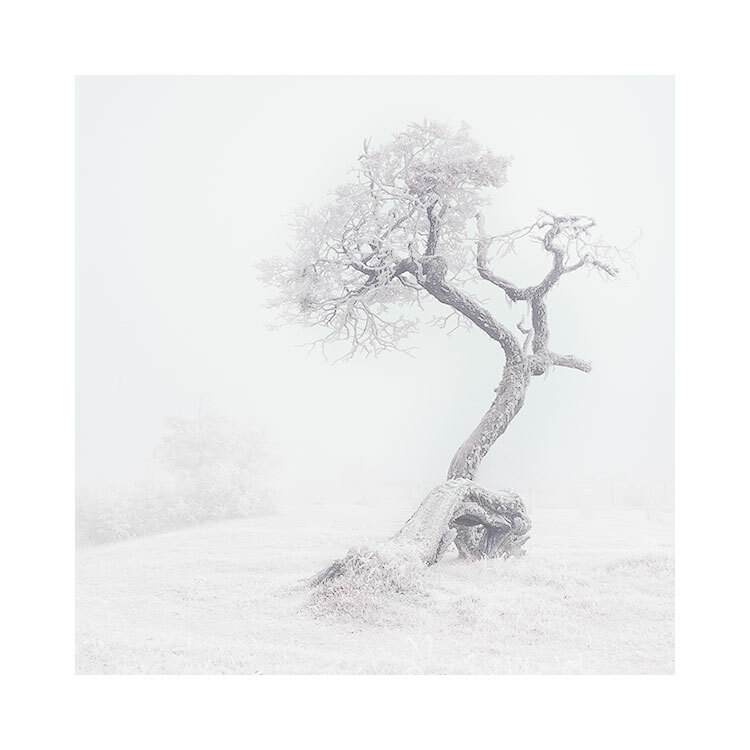 I've not got much time today, but felt I should let you all know that all the new images I've been producing for the past year - are now up on my site. I decided to separate them into a 'new' section, away from my older work, as I feel there's a refinement in my style over the past few years. So if you'd like to browse the work, which includes Iceland, Norway, Patagonia and my recent trip to Bolivia, please click on the 'new' section to the navigation menu at the top of the blog. I hope you enjoy the newer images presented in portfolios, even if you feel you know most of the work by visiting my blog. I often think that it's a very tempting thing, to include the entirety of the subject you're shooting, into the main body of the frame. But some subjects are so large, that it's impossible to get them into the frame in a pleasing way, without them engulfing the entire photo. The Perito Moreno glacier in Argentina is like that. In this photo, you can see the tongue of the glacier poking into the left hand side. If I were to let you know that the face of the glacier is around 80 metres high and that the entire tongue is around four miles wide, then I'd hope that this would convey just how large it is. It's imply too wide to fit into the frame. I shot the same glacier a long time ago, and I managed to 'stitch a 180º composite together (see last image in this post). It's perhaps more of a 'traditional' view of the glacier. We're presented with the entire thing and I think this is an obvious thing to want to do. I was curious as to how I would shoot the glacier on my return this summer, knowing that I wasn't going to stitch any panorama's together, and also knowing I would be composing in square. 1) I'm much more interested in the atmospheric elements of the weather. I love it when the cloud comes down and things in the distance become veiled. Fog or inclement weather in general can really change the mood of a scene. And I think it's important to be aware of this. So often I feel, we are influenced by how we feel - if it's a cold wet day, we can feel miserable and not inclined to make images. But we have to take a step back, think about the scene as a final image. We have to detach ourselves in a way that we can simply see the tones, and the mystery rather than think the day is a right-off. I don't think I would have made my recent image (the first one in this post) if I hadn't learned that. I think I would have just packed up my camera and thought nothing was happening. But I'm now of the opinion that all days are beautiful. It's just up to us to recognise this and work with what we're given. I don't feel miserable in low-cloud inclement days now. I actually feel the beauty of it. 2) I'm also much more interested in playing with what's not there. Our eye has a tendency to fill in the gaps for us. I deliberately decided to include just a tiny part of the Perito, because I felt the space around it - all that expanse of empty sky had a lot of beauty in it. I was particularly drawn to the headland (the dark) land that fills the centre of the frame - see how it tapers off towards the far right? That was an intentional composition device. The top of the headland is missing because the cloud in the sky is reaching down towards the sea. In some respects, this is really an image about 'context'. I've given you the glacier, and we know it's a shot about that, but I've mostly decided to show you the environment it sits in. In this case, I'm trying to convey the atmospheric / weather conditions of the day and how the glacier sits within that space. We don't actually see much of the Perito Moreno glacier and I think our mind is filling in for what is not there. Admittedly, these two images are of very different kinds of days. I was lucky that the weather had closed in the day we visited this summer. The landscape was less visible, more hidden, and I think that allowed me to reduce, and abstract, to make the photograph more a 'graphic' than a recording of a piece of scenery. For me photography has never been about the verbatim, but more about suggestion. I'd like to finish up by saying that in this post, I've also discussed how I've changed. I think it's very important to be able to look back at your own work and your current work, and consider the direction that you're heading in. I think it's healthy to stop and reflect, to recognise the changes that are happening inside of you and to know what it is that you're seeking in your current 'story making'. I use that phrase deliberately, because I feel that all photographers are simply telling stories with their images. I've more or less completed the scanning and image selection from my trips to Bolivia and patagonia this June. I have to say that the number of images I'm left with is very small. But there is a reason for this: I felt that there were two particularly strong shoots for me during the time away where the images feel very 'cohesive'. I really prefer to choose images that behave as if they belong to a set, and in the final selection here, I think you can see that. The two shoots in particular that really worked for me were of Laguna Colorada on the Bolivian Altiplano, and that of the Perito Moreno glacier in Argentine Patagonia. I certainly have other images that were successful, but they don't fit this particular 'theme' or 'style'. And I think this narrowed down selection indicates perhaps where my style is strongest at the moment. I think that's a very key thing to understand about your own photography: what it is you're currently trying to achieve and being successful at. I see these images as a reflection, an indicator of what it is I'm striving for. I think they're very simplistic and mostly are involved in conveying colour as mood. There is almost nothing inside the frames as such, but I think the mood of the places is very strong in them. I shot a hell of a lot more images, but I've had some technical problems with those. I made them on Kodak's Portra 160 (the new stock) but I'm having trouble scanning them. I've determined it's not my scanner that is at fault, but I've got coloured streaks going through the images in very bright clear areas, and I'm not sure if this is a product of the development, or if it's an issue with the batch of films I've bought. I'm seriously not happy about this and it's a lesson to myself to never go away again on a shoot with untested equipment or materials. As many of you know, I've been struggling with the Hassle-Blad (hyphen intended) for the past year, because of all the technical issues with the stupid thing (you can tell I really love it). To be fair, the system is extremely old, and I doubt it's ever been serviced properly, if at all. So If you can recommend someone who knows what they're doing (Hassleblad UK seem to want to charge me £400 alone to just service two film backs - I don't think so), please do get in touch. I seem to be attached to the system right now though. I love composing in square, although I know it does not work for everything. If I look at my 'style' of work, I often shoot portrait orientation and I believe this is because it allows me to use a lot of foreground as well as sky in my shots. Square does not allow for this, unless you get further back, or let a lot more 'stuff' come in the sides of the frame. In the above set of four images, I made a beautiful study of Laguna Colorada on the Bolivian altiplano. At 4,500 metres, the air is extremely thin here, and we were all struggling for breath. But the light! Those intense red evenings seem to be something that happens a lot there. My guide did say though, that we had an exceptionally beautiful evening there. Still, the subject is rather minimalist, and when you consider making four images - to work as a set, rather than individual scenes, a story forms - and for some reason, the entire set becomes stronger than the sum of its parts. While I was running the Patagonia trip in the southern hemisphere winter, I made these studies of the Perito Moreno glacier. We had a very wet journey out there and everything was looking very gloomy. There was most definitely a low mood to everything and the cloud had come down to obstruct the backdrop view. Years ago, I would have been disappointed, packed up my camera and headed for the cafe, but I feel I know my subjects and light better. I loved the tones that the cloud were producing. Everything was glowing - the glacier had taken on an eerie luminance in the soft morning twilight. Seeing these images only confirms to me that I need to continue with square - it is something I am growing into. I still love 4x5 very much (which is what the Mamiya 7 is - the negative has the same aspect ratio as 4x5, despite being labeled a 6x7 camera). So I'm fully aware that I will continue to shoot 4x5 aspect ratio as well as square. So often we think of replacing one thing with another (I'm thinking of that phrase - 'have you gone digital yet?' ). It's been about a year now of getting used to the Hasselblad and the square format. When introducing something new into my workflow - I feel I need to give myself time to grow into it, in order to find out if it's for me. I can't tell straight away if it's not. I think that we need to give ourselves more than a few months, perhaps even years to discover if we have the aptitude, or leanings towards a certain format - patience, and allowing ourselves the time to get fully into something, can only help reap artistic dividends, I feel. I've only just dipped my toes into my images from this years Patagonia photo trip. Here is a backlit shot of Lago Grey with Paine Grande cast in an orange glow from a setting sun. I was initially attracted to the rock in the mid-ground - with it's graphic-angular shape and directional lighting. But it was only while setting the camera up on my tripod that I noticed the lower darker rocks. I felt these could be a great foreground detail with their mottled texture. Often black rocks turn to a muddy mess in a scene, but when there is back lit directional light shining on them, it can help lift their tonal values from extreme black, into the lower mid-grey tones. Making it easier for me to record them on Fuji Velvia. I made this image on my Mamiya 7 camera. I'm aware that I'm a landscape photographer who feels more at home with portrait-orientated compositions. Perhaps it's the ability to mix a lot of sky in with a lot of foreground that works for my eye. I'm really not sure, but having a mix of aspect ratios to work with has really helped me open up my eyes to the surrounding landscape and consider where each object should be placed. As landscape photographers, we need to feel a connection with the places we photograph. We have to surrender ourselves to the smells, moods and feelings of a place and let the landscape pervade our own thoughts. I've been in Patagonia now for just over a week and familiar 'feelings' that I've experienced whilst here on previous trips (this is my 7th time here) have resurfaced. A place can be like that - like a familiar piece of music that you haven't listened to in a while, you are instantly transported back to a mood, a time, a feeling upon hearing it. It's been just great getting re-aquainted with this old friend of mine now. So this week I couldn't help myself, but buy a second copy of Bruce Chatwin's 'In Patagonia'. It cost me around £28 believe it or not, but I had to have it. Reading about Patagonia whilst here seems to be the perfect thing to do and Bruce's book is a great (if highly inaccurate account) of Patagonia. What Bruce does with this book is set the tone of how Patagonia feels to the traveler. I'll admit that I'm not too keen on the fact that there are many lies contained within the book. His meetings with people who live here are often more fable than fact, but he does do a good job of giving you an impression of a place that is remote, lonesome, possessed, and one which can possess you. As is quoted in Bruce's book - Patagonia is a magnet for those who's malady is 'the horror of one's own home'. Restless people come here and I feel I can relate to that. As much as I love being at home, when i'm there, I'm often wishing to be away, and when I'm away - I'm often wishing to be home. If you're thinking of going somewhere, I can think of no better thing than to buy books about the place. Photography books might give you some idea of what is there, but the written word has a better chance of helping you get into the mindset of what lies before you. Maybe it might help settle you into the mental adjustment an undertaking of this magnitude will have on you: going away for a prolonged period of time can be overwhelming. My way of life in Scotland is so far removed from many of the places in the world I visit, and I'm often confronted with having to rip myself away from my home life, to be replanted elsewhere. Reading books about my chosen destination before I go, often helps me with the adjustment and they're also great devices to help me slowly untangle myself once I've returned home too. In a few weeks I will be back in Scotland, in my old routine, but I will have Bruce Chatwin's 'In Patagonia' to help me slowly disengage from the life that I am leading right now as I type this post from my hotel in deepest Patagonia. Wishing you were where your heart wishes to be. I'm almost finishing up my Patagonia Safari in a few days time, and we've seen quite a few memorable images over the past week and a half. Torres del Paine national park was a winter wonderland and each morning we had excellent, atmospheric views at Pehoe. We also had a successful sunrise view of the towers through low cloud. It was really beautiful to witness. My Hasselblad continues to stun me with yet more failures. A spare body has jammed and now a film back continues to pump film through it without ever getting to the first frame. I've also had the wind catch my Mamiya 7II camera and toss it onto the beach. The camera still works, but the rangefinder feature is broken and there's a massive hole in the top of the body. So It will be going back for repair when I get home and I've just bought a Mamiya 7 Mk1 body tonight to help me out as I'm away to Iceland a week after I get home. I've got a month of personal photography time in the centre of the island and also have to meet up with Ragnar Axelsson too, which I'm looking forward to. Tomorrow morning we are all heading out for sunrise to visit the glorious Perito Moreno glacier - perhaps one of South America's highlights. It is a living, breathing mass of ice that creaks and groans. Large sections of the face of it come off and hit the surrounding water on a frequent basis, often with a deafening crash. I first visited this glacier in 2003, and made the above image. It's actually a stitched composite of several images (I don't normally do this kind of thing, but in this instance had to, because the glacier is 4 miles wide, and easily takes up over 180º of field of view). Venturing here for sunrise is great. Tourists don't arrive here until 10am at the earliest, so you have the whole place to yourself. It's winter here, and as it turns out, sunrise is at 10am tomorrow morning, so we will be there for the start of civil twilight. It's a great time to be there as the glacier faces east and it slowly reveals itself to you as the light comes up. At first you can only hear it and that is spooky in itself. As the minutes pass you become aware of the faint glow of the glacier and then as the sun comes up the face of the glacier shifts through the cool colour spectrum and seems to convey many different colours. It's simply wonderful to witness. We will be heading back to Punta Arenas in a days time, where some of us will say goodbye while four of us continue on to San Pedro de Atacama for a few days before we venture onto the Bolivian Altiplano for a week's worth of photography. I'm having so much fun on this trip I don't want it to end. I'm in Punta Arenas, the gateway city to Chilean Patagonia. Tomorrow I head up to Torres del Paine national park for the next two weeks of a safari based in this beautiful part of the world. I'm very pleased to be back here. It is winter time in the southern hemisphere, but despite this, it is very mild here in Punta Arenas. I've just met up with my guide for the week and she has told me there was plenty of snow a few weeks ago, but that the wind has taken it all away. She showed me some of her photos and It was amazing to see how much snow there had been. The best thing about being here in June though, is that the sunrise and sunset times are very sociable - sunrise is at 9am (bliss - I don't have to get up so early - yes I'll admit - I'm not a morning person - probably much to your surprise). And sunset is just before 5pm, so the day is nice and short with a low lying sun. It's been five years since I was last here. I can't believe it's been that long for me, and it's only become possible to return due to client demand. I've had so many clients over the past three years of running workshops in Scotland ask me when I was hoping to go back that I knew I'd have enough interest to run the trip. So thanks Jez, Adrian, Leslie, Polly, Bo and James for wanting to come with me. Patagonia - now sold out. Update: this trip is now sold out! Last week I had a cancellation for my Skye workshop, which was filled straight away, so the Skye trip is now sold out, for those of you who were considering it. As is the nature of having bookings taken so far in advance, things change in people's lives and suddenly, they can't make a trip any more. One of my participants for the Patagonia workshop can't make it now due to a family member's graduation, so there is now a freed up space on the Patagonia workshop. If you'd missed booking the trip when it sold out, then now is your chance to come along. It's been a very popular trip so far, so if you want to come, have a look at the details here. It has all the information on the trip, and also the booking form should you decide to come. I'm in Iceland this week, currently in a nice chalet near Jokulsarlon glacial lagoon. It was a complete white out on the way here, with a lot of snow. The entire south part of Iceland looks amazing. Anyway, today I'm writing about some very tragic news about Torres del Paine national park in Chilean Patagonia. It is one of my most favourite places in the world. But as of a few days ago, 85 sq kilometres of the park has been ravaged by a fire, which the authorities are speculating may have been caused by human intervention. Because of the nature of the park's weather systems, it is often extremely windy there, and if the place has been dry for an extended period of time, then any camp fire (fires are not permitted in the park) can wreak havoc in the area. It's just such a real shame about Torres del Paine. It's such an amazingly beautiful park. Now, of course, the fire could have been a completely natural event. The problem is though, that if we have beautiful parks, they should be shared and visited by people. But mistakes happen, people feel they're in control and know what they're doing, and then a mistake happens and a fire like this rages out of control. I don't know what the answer is for park conservation, but I certainly hope that it does not mean that some day, I can only enjoy some place like Torres from behind the glass of a tour vehicle, because legislation has gotten so tough, or we're being so 'nannied', that we can't possibly be responsible for our own actions. I'll be visiting Torres del Paine this June, as part of a Winter photographic trip. It will be interesting to see the amount of damage in the park when I get there, but until then, I hope that the fires in Torres del Paine will be extinguished soon. A few weeks ago a friend informed me of the troubles that Thom Hogan had on a recent workshop to Chilean Patagonia. I read his article with interest but I had a few issues with it. Firstly, on all the travels I have made over the past 10 years, one thing has been a constant: nothing stays the same and most countries have periods of instability. Secondly, the rest of the world is not like the west. As a westerner, we live in relatively stable environments where most of the time, things happen when we expect them to happen. I was aware by reading Thom's posting that he and his group had a very tough time in Chile and that certainly, some aspects of how the country dealt with the strike could have been much better. But the fact is, that I feel Thom's article has done nothing but damage his own possible business of returning to Chile some day to to a future workshop, has tarnished the tourism industry in that region (from reading Thom's posting, he feels they've done it to themselves, but we're talking about a time of unrest when things happen that don't make sense) and he's put photographers off a region of the world for a much longer time than the strike or future strikes may occur. Certainly, it is worth being aware of issues in a part of the world if you are planning on visiting, and making your plans being fully informed is no bad thing. But his article came over as overly-sensationalist, particularly his use of the word 'hostage' and by also recommending people boycott the region. For what it's worth, I've been there over seven times now and on each occasion I've had nothing but good experiences. The Chilean people are very warm and friendly. If I were considering traveling there over the next few months, I would certainly take into account that there is a continuing issue with fuel prices in the region and make my plans accordingly, but it wouldn't put me off going there in future. If I were to boycott any region of the world where there was instability, I would be severely restricted to where I went. Just one look at the British Consulate web site is enough to make you feel you shouldn't step foot outside of the UK, but it is this over-dramatic representation that puts people off for good. The world is in constant change, prices go up, places have a strike, the strike is off. It's unfortunate that these things happen, but I wouldn't try to persuade others not to go to a country or a region because you were unlucky to get caught up in some issue whilst there. I just got an e-mail from Roger Pool today, one of the participants from my workshop in Patagonia this March. Roger has put his images on SmugSmug and they're excellent. To view them, go here. In the e-mail he sent me, there was a picture of the fox we had the great excitement of photographing while at the edge of Lago Grey one morning. Yep, that's me on the right side, with my ear-wind-shields up on my hat, crouched over my tripod. I love this image because it shows how close we were to the fox. The image I created from this shoot is here. I was struggling because I had the entirely wrong kind of lens on my camera... a wide angle when the fox appeared. It would have been very tempting for me to zoom right in, but I'm pleased I was restricted to what I had. As part of my romance with the Contax 645 system, I now have multiple film backs for it, which is a really nice way to go if you want to shoot different types of film. This is the nub for me. What I love about film is the different characteristics that each type produces. Velvia is supersaturated, unrealistic in colour providing vibrant landscapes, Portra has great skin tones and then of course there are a myraid of black and white films to choose from... each with their own look and feel. This was shot on Kodak Tri-X 400 and scanned on my Nikon 9000 ED film scanner with ICE turned off. What this means is that I had to go around spotting all the dust and dirt on the negative after scanning. It was a pleasure to do it. Perhaps I'm too old school. While I was on my workshop in Torres del Paine national park, Chile, I like to take the participants along to see some real working Gauchos in the park. There are a few locations where it's possible to do this. Anyway, I shot many images on Portra but also tried out Tri-X. You might argue that I could have shot this on colour film and then desaturated it in Photoshop to make it into a Black and White. You'd be correct, but desaturated colour films don't have the same grain properties that Tri-X has. For me, grain is part of the artistic look and feel of a picture. I've tried all those software emulators with digital, but have to say that it still looks digital. If you want the film look, go shoot some film. Hi All, On my recent trip to Patagonia, a member of the trip told me he tends to try to 'get it all in'. We were standing on a little bridge over to a small island in Lago Pehoe at the time. What I recall about this little discussion was that I thought we had both 'seen' the same thing. I took my shot and then went over to see what he was doing, only to find out that he was trying to get the lake, the mountains and the hotel, situated on the small island into the shot. I showed him what I had composed (see below), and his comment was 'you go for very simple compositions'. It was a concise point. He was concise with his words, whereas I tend to be quite verbose. But in terms of picture composition, he was pretty verbose while I was concise. I think the strength of an image lies many times in what we exclude from it. Putting more things into a scene can often dilute the strength of the message. Keeping it simple is key. With the image in question, what I was grabbed by was the sweeping curve in the dark sand in the foreground. I'm a sucker for composing landscape shots in portrait mode. I'm convinced this is because of how I actually interpret scenes, but also, because the 6x7 aspect ratio lends to this. I tried to compose the same shot using a 5DII while I was there and it simple didn't work. Too much height - too much sky and too much forground. I find 35mm aspect ratio of 3:2 not conducive to how I think about objects and place them within the frame. But that's just me. Focus and isolating down to the barest components of a scene is the way forward to making a strong image. When looking at a scene next time, try to think about what it is you are actually drawn to, and whether everything in there actually needs to be there. Remove items and reduce. Isolate and improve impact.